Seed starting early is such a great way to jump-start your garden. 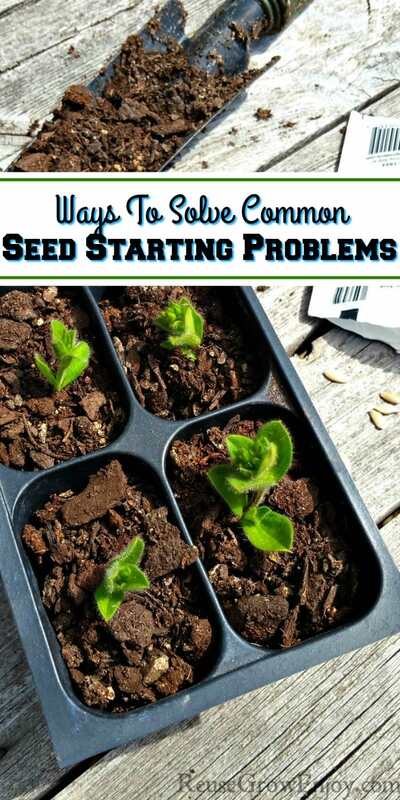 Check out these tips for Ways To Solve Common Seed Starting Problems so they don’t stop you in your tracks. If you live in an area that is colder longer starting your seeds early is vital to having a great garden. However, just like gardening, it comes with its own issues. 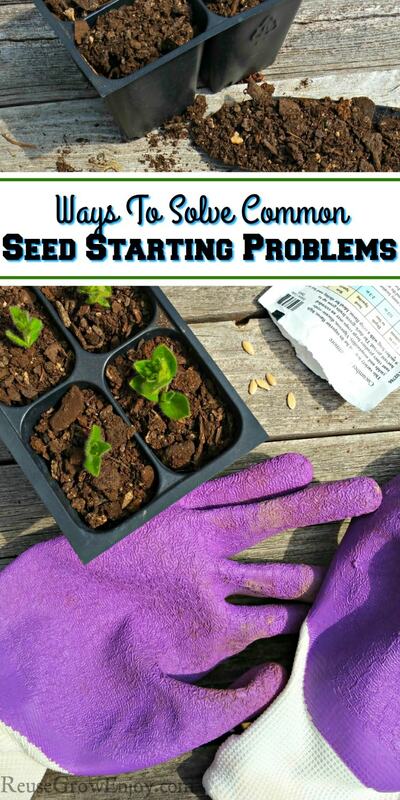 There are lots of different seed starting issues you can run into along the way. But when you are ready for them and know what to do, you can hit them head on if not prevent them totally. All of these seed starting tips below should get you up and running and keep you growing happy healthy little seedlings. Choosing a quality seed is the best way to avoid a low germination rate. Choose a trusted brand of heirloom seeds for a quality plant that will produce seeds you can use next year. Great place to find these online is at Burpee. Yes, you can get cheap seeds in places like dollar stores, however, they often do not produce good plants. They are also normally a seed that is GMO. I try and stick for sure with ones that are GMO-free and when I can ones that are also organic. Too much water can drown your seeds stopping them from growing. Be careful to not over water your seeds when starting them or caring for young seedlings. One of the best ways to water seeds and is to use a spray bottle filled with water to water your seeds and opt for a well-draining soil for seed starting. If you have too dry of soil it can lead to seeds that never germinate. This can be just as frustrating as a seedling that dies out. When starting from seeds be sure to spray the seed starters with a spray bottle of water every other day, if possible use a cover to trap water and humidity in. If you don’t use a seed starter dome/tray, ziplock bags work well. Simply set the little containers inside the plastic bag and close it most of the way. Just be sure to remove when the plants get high enough to start touching the plastic as they will get burned. While it is important to keep the moisture around the seeds such as covering like mentioned above if you are not careful it can also encourage mold from lack of air flow. You want the soil to stay moist, not wet but you do not want the air around it to be super wet either. One way to avoid this is to remove the plastic from the container daily for about an hour a day to allow air to the soil. After the seedlings have popped from the soil, you can then remove the cover completely so that the air can move around the plants. Just be sure to stay on top of your watering so they do not dry out. Often we start our seeds long before the weather turns warm. This means drafts and cold can lead to seeds that fail to start. There are a few things you can do to deal with this situation. Start your seeds in a container with a lid to trap heat to protect your plants from drafts and dips in temperature is a simple and effective method if your home usually stays rather steady. You can use a heat lamp just make sure that it is not super close to start a fire or dry the pots out totally. When seed starting they don’t need it to be sure hot, just warm without chills. One of the best options for keeping them warm is to use a heating mat for starting seeds. This will help to keep them warm if your home often drops to a low temperature. Once your seedlings break the soil they will need light to survive. This can be difficult in a cooler climate where the sun may not be out much while you get your plants started. 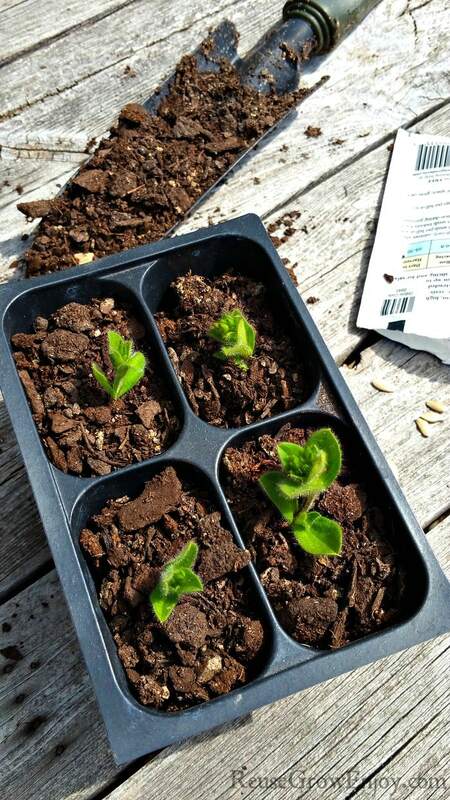 You can opt to place your seedlings near a south-facing window to catch the sun. However, depending on your outdoor temps, it can also expose them to drafts. It is a fine balance to watch. You could opt for a grow light that will help provide your plants will more light for faster growth and keep them away from the chilly window. Have you ever run into any other seed starting issues? Let me know in the comments below and I am more then happy to help if I can. Same goes for if you have tips on things that have worked for you, I am sure others would love to hear. If you are looking for more gardening tips, here are a few to check out.